To be clear, this is a map of a walking tour, not an actual tour map that walks. 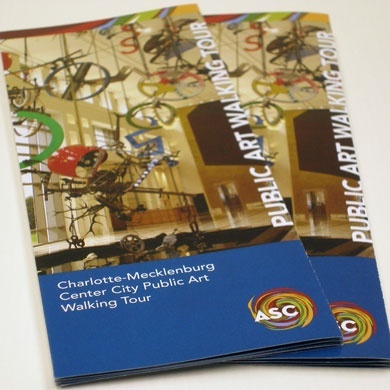 Crown worked with the Arts & Science Council to create this comprehensive guide to Charlotte’s impressive collection of public art. 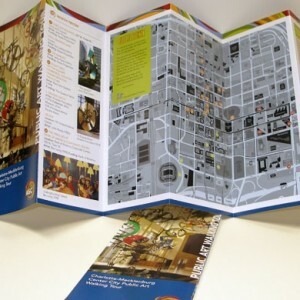 The guide contains routes, photography and descriptions of each piece of art. It is available at the Charlotte-area visitor information centers and is heavily used by the average 16.6 million tourists a year. 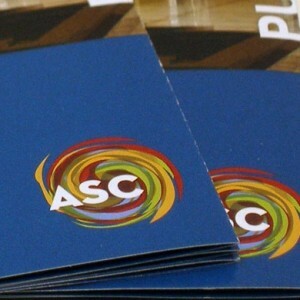 We recently completed the second edition, featuring new art pieces and a fresh look in keeping with the vibrant identity of Charlotte and the ASC.